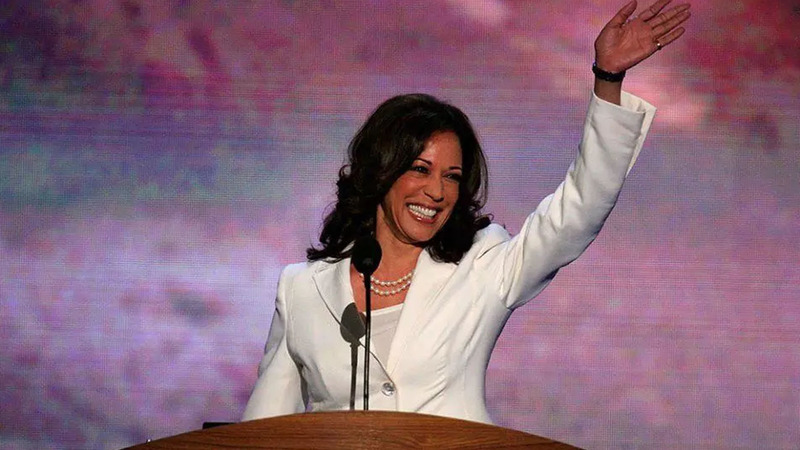 Tuesday night as the country watched Donald Trump win the race for 45th president of the United States, California attorney general Kamala Harris was making history. The Howard University alum won the race for Senate, making her the second black woman to be elected to the U.S. Senate. Carol Moseley Braun of Illinois is the last black woman elected to the Senate and served one term from 1993-1999. Harris beat out fellow Democrat Rep. Loretta Sanchez for the seat occupied for 24 years by Democrat Barbara Boxer. During her victory speech, Harris stated her intentions. “I intend to fight. I intend to fight for Black Lives Matter. I intend to fight for truth, and transparency and trust. I intend to fight. I intend to fight for a woman’s access to health care and reproductive rights,” she said. California Attorney General Kamala D. Harris speaks on the second night of the 2012 Democratic National Convention at Time Warner Cable Arena, Wednesday, September 5, 2012 in Charlotte, North Carolina. According to Essence.com, Harris’ mother is Indian and her father is Jamaican, which also makes her the first Indian woman and biracial woman in the position. She joins two African-American men in the 100-member Senate: Tim Scott, a Republican from South Carolina, and Cory Booker, a Democrat from New Jersey. The 52-year-old is a member of the Alpha chapter of Alpha Kappa Alpha and was active in Howard’s campus politics. She was a political science/economics major. She earned her juris doctorate at the University of California, Hastings College of the Law and later became the deputy district attorney in Alameda County, California. Harris recalled her first time running for anything with Donna Owens for NBC News. She served two terms as the district attorney of San Francisco starting in 2003 and was sworn in as attorney general in 2011, making her the first woman and person of color to hold the position.